One of the world’s last wild places, the sprawling boreal region is a breeding bird nursery that supports more birds than anywhere else on earth. So why is so much of it turned into catalogues and junk mail? We took off from the wilderness lodge at Miminiska Lake in northern Ontario’s Albany River watershed with all our gear stowed in a big Twin Otter float plane. I was here to document, in sound recordings, a still pristine part of Canada’s boreal forest before it is lost. 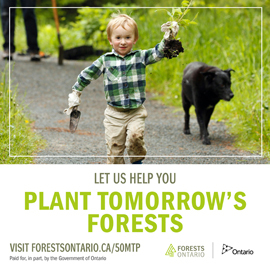 That forest, which stretches from coast to coast across northern Canada, is one of only three or four forested ecosystems left on earth where vast tracts of habitat remain untouched. Its half a billion hectares represents fully a quarter of the world’s uncut forests and is home to massive numbers of birds. WHAT IS A BOREAL BIRD?From the great gray owl, which rarely ventures beyond its boreal haunts, to the blackpoll warbler, which winters in the Amazon basin, some 240 bird species breed in Ontario’s boreal region, making up an estimated 250 million breeding shorebirds, waterbirds, waterfowl and landbirds. The complex mosaic of bird habitats in Ontario’s boreal region includes taiga, treeless wetlands, treed fens, bogs and swamps, and vast tracts of black spruce and jack pine forest, along with stands of post-fire aspen. Almost one-fifth of the total landscape is open water. Any bird that breeds in this diverse landscape could proudly sport a “boreal” badge – but their relationship with the land varies from species to species. For some, only a fraction of their entire population breeds in the boreal region, yet for others it is the core global breeding ground for the entire species. Several Ontario species breed almost exclusively in Canada’s boreal forest, including over 90 percent of the breeding populations of Connecticut, Tennessee and palm warblers. Ninety-five percent of the Bonaparte’s gull population nests in spruce along the margins of boreal ponds and lakes. Eighty-three percent of all great gray owls nest in the boreal forest, mostly in broken-off dead trees. The boreal chickadee and boreal owl have 71 and 88 percent of their breeding populations, respectively, in the forest for which they are named. For 89 Ontario species, half or more of their North American population breeds in the boreal forest, making the species highly dependent on boreal ecosystems and habitats. Some species are largely boreal breeders in Ontario, but their North American breeding range extends well beyond the boreal region, lowering the overall dependence of those populations on Canada’s entire boreal region. Almost 90 percent of Ontario’s boreal breeders leave their far northern summer homes to winter in milder climes. The Tennessee, Cape May, Connecticut, magnolia and palm warblers and the Philadephia vireo, for example, bear names that reflect their migratory stopovers or wintering grounds. But these are no less “boreal” than the small number of year-round residents, such as the great gray owl, black-backed woodpecker, spruce grouse, boreal chickadee and northern hawk owl, as they would not exist without their critical northern nurseries. To learn more about boreal birds and the extent to which they depend on boreal ecosystems, visit the Boreal Songbird Initiative’s online guide to selected bird species of the boreal forest, at www.borealbirds.org/guide. Our goal was to paddle along a 32-kilometre stretch of the Albany River, which flows along the edge of the boreal wilderness, recording when breeding bird activity, including birdsong, is at its peak. The recordings would be archived forever at the Cornell Lab of Ornithology’s world famous Macaulay Library of Natural Sounds. North of here, there are no roads and few humans. But to the south of us, the industrial frontier lies only 50 to 60 kilometres away. It is very possible that roads and logging will transform life along the Albany within a scant 10 to 20 years. Our float plane deposited us on Petawanga Lake. As the plane disappeared over the treetops, that calming quiet you can find only in places like the boreal forest enveloped us. The harsh squawks of Bonaparte’s gulls hung in the still air. Then, from the spruce-lined shores came the rising flutey songs of Swainson’s thrushes and the clear whistled “Oh-Sweet-Canada-Canada-Canada” songs of whitethroated sparrows. The next morning, we were woken by a song sparrow, so close that he may have been sitting on the top of our tent. While beating our way through the thick tangle of blow downs in the forest behind our camp, we were surrounded by birdsong: northern waterthrushes, winter wrens, ruby-crowned kinglets, red-eyed vireos, Swainson’s thrushes, white-throated sparrows, northern flickers, pileated woodpeckers and warblers – bay-breasted, Tennessee, magnolia, yellow and yellow-rumped. A flock of white-winged crossbills flew overhead, their “dit-ditdit” calls tapping like an old-fashioned telegraph machine. The boreal region supports more birds than anywhere else on earth – an estimated one to three billion breeding individuals. Nearly 50 percent or more of the global populations of about 100 bird species rely on these northern forests. This incredible reservoir of abundance is why people in southern Canada and the United States can experience the thrill of seeing trees filled with warblers, wetlands brimming with ducks and backyards stirring with sparrows and finches during the annual migration of birds to their winter habitats in the United States, Mexico and Central and South America. On our Albany River canoe trip, behind our next campsite, the morning bird chorus became almost deafening. On the shore of Kawitos Lake, Tennessee warblers blasted their mechanical “chit-chit-chit-chu-chu-chutitititititi” and alder flycatchers their “ree-bee-o.” I pointed the microphone north across the water and imagined listening through the unbroken wilderness all the way to Hudson Bay, across forests, rivers, lakes and peatlands. We ended our adventure on Eabamet Lake. As we flew south into the northern reaches of the Ogoki forest, lakes, streams, bogs and woods stretched for as far as the eye could see. Then, about 50 kilometres from the Albany River, we came to the edge of the forest frontier. Below us were roads and clearcuts and towering stacks of spruce poles that could well be catalogues and junk mail within a few months. The return to “civilization” from one of the worlds last wild places was a shock. I wondered if our sound recordings would be all that was left of the Albany wilderness in a few decades. 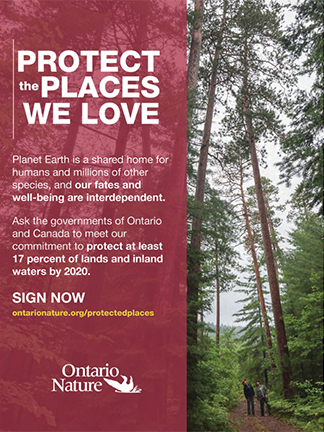 But preservation of its natural state is a real possibility now that Premier Dalton McGuinty has pledged to protect at least 50 percent of Ontario’s intact boreal region. That may make Ontario an example to the world of how to maintain a sustainable future for its people and environment. And maybe, just maybe, in a hundred years, a trip down the Albany will still echo with the songs of more birds than you can imagine. MAKING A COMEBACKAt a time when many of us feel bombarded with bad news about the loss and decline of species and ecosystems, it is heartening to learn that, with effort, political will and time, species can recover. The resurgence of the bald eagle and the peregrine falcon are two such conservation success stories. The populations of both species (as well as others) plummeted as a result of the widespread and heavy use of DDT that ultimately led to abnormalities in the development of eggshells, which were so thin that the weight of the incubating parent would crush them. By the 1960s, not a single breeding pair of the eastern subspecies of peregrine falcon could be found in eastern North America including in Ontario. Eventually, DDT was banned. Peregrine falcons were bred and chicks released at former or potential nesting sites across North America. A 2005 survey found an astonishing 78 peregrine falcon nesting sites in Ontario alone. Bald eagles have also bounced back after dramatic population losses due to DDT use. The number of active nests in Ontario was estimated at more than 1,000 in 1998, with the highest concentration in the boreal forest, especially around Lake of the Woods. Even farther south the birds have rebounded – the number of active territories in the lower Great Lakes rose from three in 1983 to 43 in 2005. Today, we have the opportunity to recognize ecological problems and apply the same kind of positive solutions that have brought back bald eagles and peregrine falcons. Our natural world is a resource that our children and grandchildren deserve. History shows that we can indeed make things better.